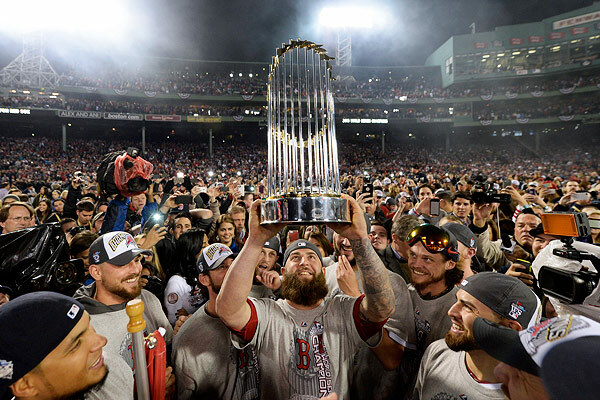 LOS ANGELES — The Boston Red Sox won the World Series in 2013 behind beards and a band of unique brothers united by a love of the city. It was a championship season as unexpected as any considering the natural disaster that was the 2012 season, and the equally catastrophic September of 2011, in which the team went from first place to missing the playoffs faster than you can spell Yastrzemski. The collapse was terrible and predictable with the moves made in the 2010 and ’11 offseasons (Terry Francona out, Bobby Valentine in, Carl Crawford and Adrian Gonzalez for a combined $489 bajillion) but in a way necessary to make Sox fans appreciate those good ole’ days of ’04 and ’07. Those title teams were fun to watch and root for, and always gave you everything they had. They were full of colorful characters and personalities, and found new and exciting ways to win games. The 2012 team sucked, wasn’t fun and probably hated each other as much as I hated them. Shortly after Boston dealt Crawford, Gonzalez and Josh Beckett to the Dodgers around the trade deadline in 2012, I ran into LA GM Ned Coletti at a bar in Culver City and thanked him for taking those guys off Boston’s hands. He laughed me off but the move turned things around (much like the Nomar trade in ’04) and laid the groundwork for a title run. In a way, I enjoyed 2013 more than the other World Series years because of what was expected (nothing) and the ultimate end result (champagne baths and Duck Boats). And because of Mike Napoli. He’s taken Manny Ramirez’s place as the lovable goofball who hits mammoth home runs and keeps everyone loose. He’ll never be as enigmatic as Man-Ram or cut off throws from the centerfielder or high-five fans while making a catch at the wall or rub Julian Tavarez’s head in the dugout (or hit .330) but he does have a penchant for getting a clutch hit (and parting around Boston without a shirt). And I love him. Look, the ’04 team was supposed to contend given how close it came in ’03, and ’07 was still riding that success thanks to a bevy of home-grown talent (Pedrioa, Youkilis, Lester, Papelbon, etc.). That title was expected. What’s going to happen this season? Who knows, but what’s for certain is that this Red Sox team should be there come the stretch run again. Unlike the NFL, where teams go from worst to first all the time and the playoff turnover year-to-year is great, only a handful of teams have a realistic shot at hoisting the trophy come October in Major League Baseball, and this Red Sox team is one of them. 1.) 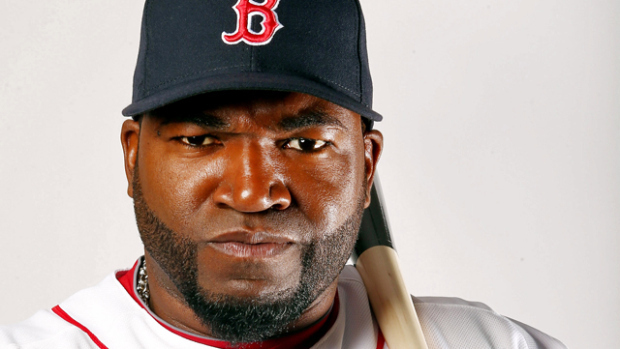 What will we get from David Ortiz?— Big Papi is one of the most beloved Red Sox of all time. He’s going to be a Hall of Famer five years after he retires. He can do anything.He’s Superman. For baseball purposes, he went from 2-for-22 in the ALCS last year to a whopping 11-for-16 in the World Series. That swing was a microcosm of what No. 34 has been doing in recent years in the Hub. Slow starts have led to big finishes, but let’s be honest, Ortiz is 38 and while he’s signed on for two more seasons, what he has left is very much in doubt. Sure, he hit 30 homers last year (his 7th season with at least 30), but as we’ve seen historically from other sluggers, when it goes it goes in a hurry. I won’t overreact to a slow start this year but I’m not expecting the end to be pleasant, whenever it occurs. 2.) Who will be this year’s Jonny Gomes? — I’m not talking about the numbers, because I’m a realist in that Gomes isn’t The Babe, and he hit just .247 in 366 at bats last year. But the spark he gave this team when he was an every day player can’t be measured. He started the beard revolution, provided me with my favorite moment of the year – punting his helmet rounding third after a walk-off homer in June against Tampa Bay – and was an infectious spirit on the diamond. The Red Sox are gonna need it again because it’s a long season and repeating is hard. 3.) Is Felix Dubront ready for primetime? — I covered the big lefty when he was with the Portland Sea Dogs coming up and I’ve enjoyed watching his progress in the big leagues. Dubront is a power pitcher and has 306 strikeouts in 323.1 innings in his two full big league seasons but got shelled this Spring Training (7.77 ERA in 19 innings). He’s going to be an important element of this Boston pitching staff and if it’s going to make another deep postseason run he’ll need to win 15-or-more games. He’s only 26 but it’s time to show some consistency. 4.) 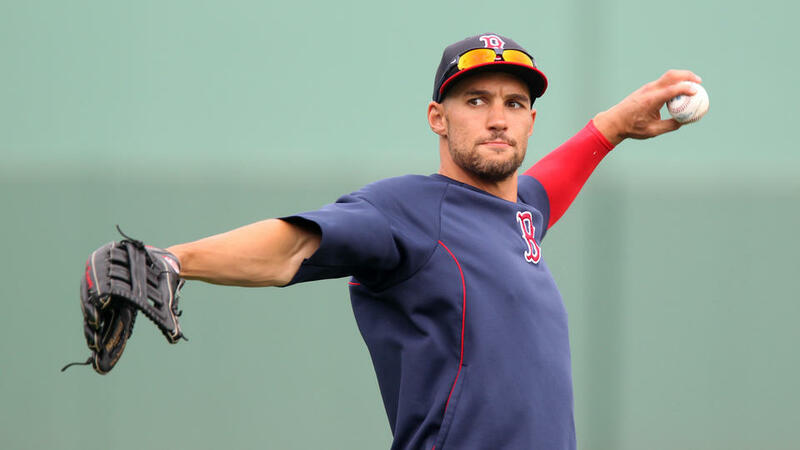 Grady Sizemore, starting center fielder? — This is actually not a question, it’s happening, and I’m just as shocked as you are. Sizemore hasn’t played in two seasons, and hasn’t played a full season since 2008, but somehow beat out Jackie Bradley, Jr. for the center field spot. The same JBJ who most, including me, thought was in line for the starting job after Jacoby Ellsbury signed with the Yankees this offseason and was sent down to Pawtucket last week. I don’t know if Sizemore is gonna make it, but I hope so. He averaged 26 HR, 81 RBI and 28 stolen bases in his best four full seasons with Cleveland, and if he can be around those numbers again it’ll be a genius move and soften the blow of losing Ellsbury but giving the Sox some speed and pop at the top of the lineup. Fingers crossed. 5.) A.J. Pierzynski? Yes, really. — And you thought spelling Saltalamacchia was tough? I’m pretty shocked the man once voted the most hated in Major League Baseball is wearing Red Sox colors this season, but by all accounts, he’s a great teammate, and one of those guys you’re glad is on your team because of what makes him so hated. I just want him to do what everyone wants out of their catcher: handle the pitchers, be reliable, and provide a little pop at the plate now and then. Salty’s 40 doubles last year will be hard to top, let’s hope A.J.’s intangibles make up for it. 6.) Will the bullpen repeat its 2013 performance? — Let’s be honest, what the bullpen did last year, especially Koji Uehara, was unbelievable. He was downright unhittable in the stretch run and postseason, giving up just one run in 13.2 innings with seven saves. But he’s 38, so I wouldn’t expect a repeat performance. Uehara came out of nowhere and I’m guessing it’ll be someone else giving manager John Farrell a surprise performance to save the day this summer, whether it’s Andrew Miller or Burke Badenhop or Edward Mujica or someone from a deadline deal. Stay tuned. 7.) How will this team handle being expected to win? — It was different last season, there weren’t any expectations – last year every Red Sox fan would’ve been satisfied with a .500 season given the way 2012 was an unmitigated nightmare – but now this band of mistfits are champions. They are expected to win 90 games this year and compete for another World Series. A year ago, there was no pressure and what happened? They won. A lot. Now that there is pressure what’s going to happen if this team struggles in April and May? 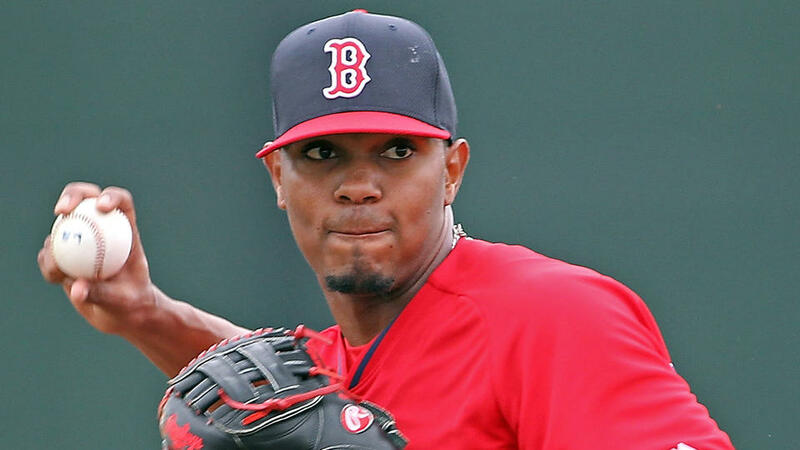 If Xander Bogaerts isn’t living up to the tremendous hype we all have for him early on? If Will Middlebrooks get sent down again because he’s lost his power? If Jon Lester has control issues or Clay Buchholz injures his back again? If Koji blows a couple saves? If Ortiz is hitting .091? What if? I’m hoping no one panics, remembering how patience paid off a year ago, but this is Boston and what happened last year is in the past. We’ll see. 8.) What grimey thing will these guys do next? — Last year it was the beards and David Oritz and Boston Strong that carried this team and provided its spirit and driving force. In 2004, there was “Cowboy Up” and the Jack Daniels and the naked pullups, in ’07 it was The Idiots, so we’ll see what comes from this team. You don’t know when it’s gonna happen or who’s going to be the leader, but I’m expecting something and I can’t wait. Posted on March 31, 2014, in Random and tagged beards, Boston, Boston Strong, David Ortiz, Manny Ramirez, Mike Napoli, MLB, Red Sox, World Series. Bookmark the permalink. Leave a comment.